Feel supported with a lightweight rollator you can lift with one hand and fold in seconds. 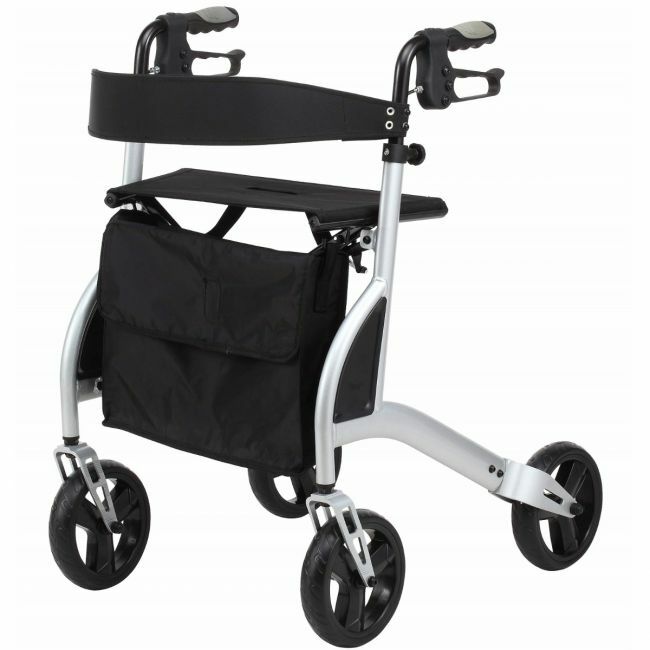 This lightweight folding rollator provides an extremely portable walking frame to assist with every day living. The x-shaped frame folds without the need to remove parts and will stand up even when folded, making it ideal for storage or setting up quickly.